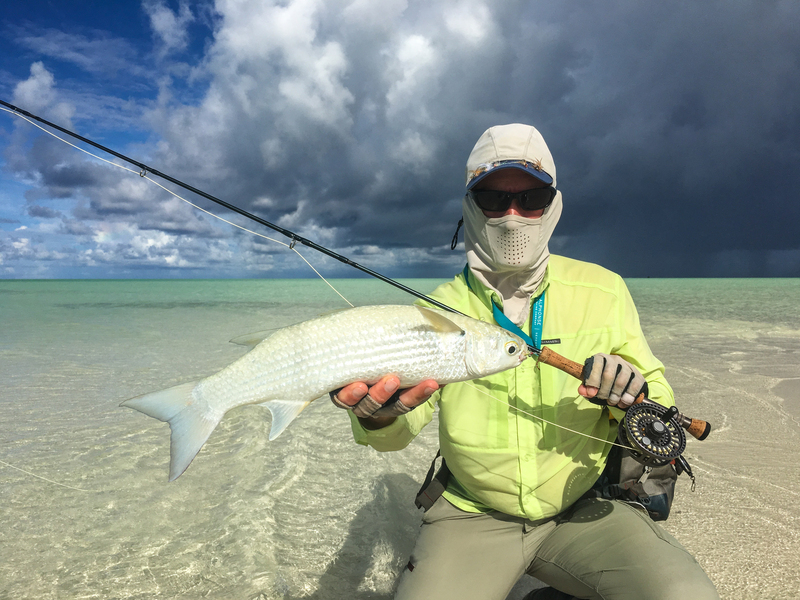 We are luckily based at one of the most prolific Bonefish fisheries in the world and often I see guests casting frantically at a shoal they believe to be Bonefish, but that just don’t seem to bite. Nine of ten times this is because they are casting to a shoal of Mullet. Although the fish are easy to tell apart up close, in a shoal it becomes difficult to distinguish. 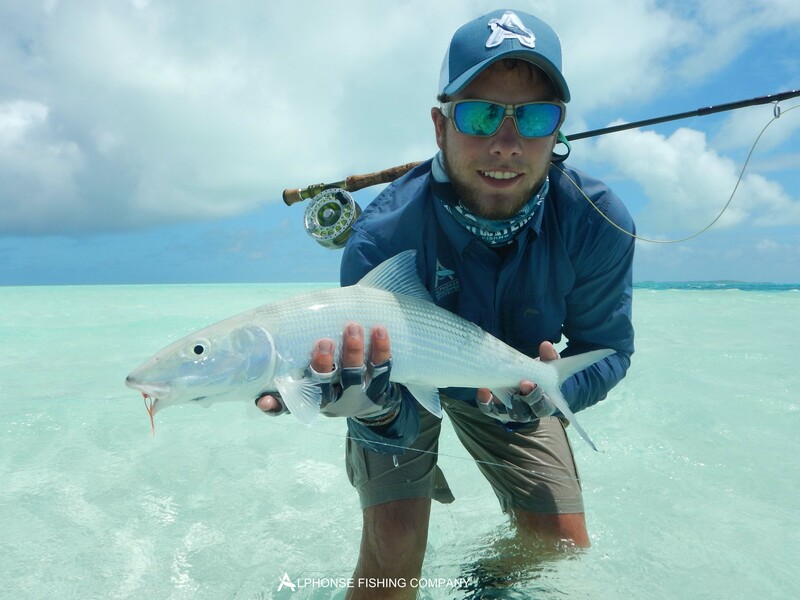 However, there are some general rules that one can apply to tell the difference between a shoal of Mullet to a shoal of Bonefish. Mullet generally swim higher up if not on the surface of the water column. Bonefish on the other hand are benthic (bottom feeders) and will most likely be swimming at the bottom of the water column. Mullets are usually more brown in colour, whereas Bones have a silver-green look to them. 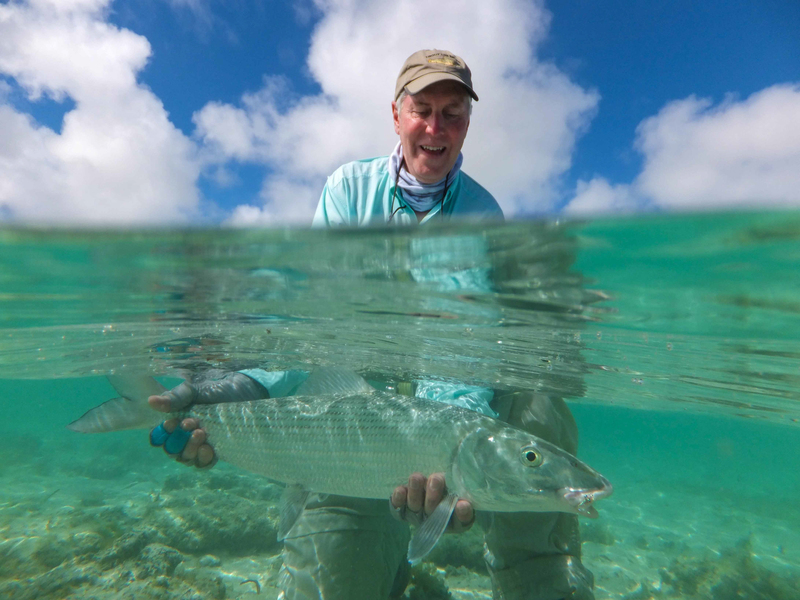 More often than not, Bonefish are bigger than Mullet. Mullet tend to swim much closer to each other making their shoals more dense, whereas Bonefish have a gap of about half a foot between each fish. 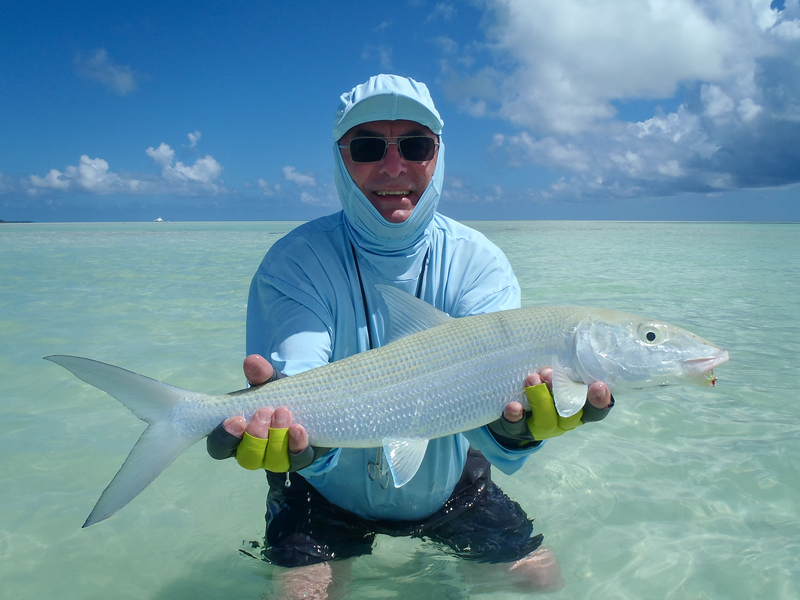 If you have had a few casts and a 2-3 fly change without any result, the chances are that you are casting to Mullet. If you want us to update you with more stunning catches, have a look at our Instagram account to see rare species, record catches and of course, a lot of Water. 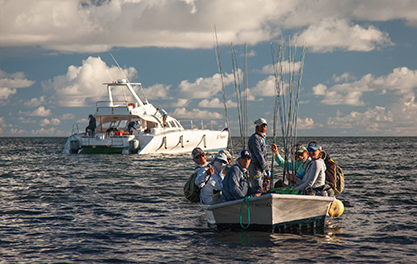 Visit @alphonsefishingco. Please note that these tips are just a general rule of thumb to look out for, but hopefully they can help you save some arm power and countless fly changes.